This custom built 2635 sq ft home is sure please from inside out! 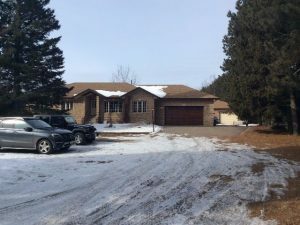 4 bdrms, 2.5 baths, upper level laundry, open concept kitchen/dining/great room, main floor office, large walk in kitchen pantry, double attached garage with bonus rear garage door and so much more. All of Finoro’s quality features and many upgrades! Taxes to be assessed. Paved drive and fully sodded lot included. Situated on large corner lot. Call Vikki today for more information on this stunning all brick and stone home!